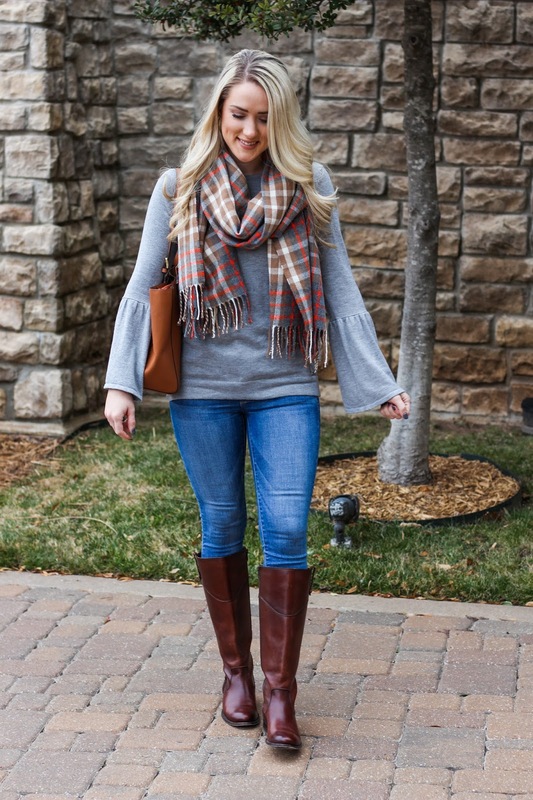 Anyway, bell sleeves have been a huge trend lately & even though I haven't worn them that much, I am a big fan! 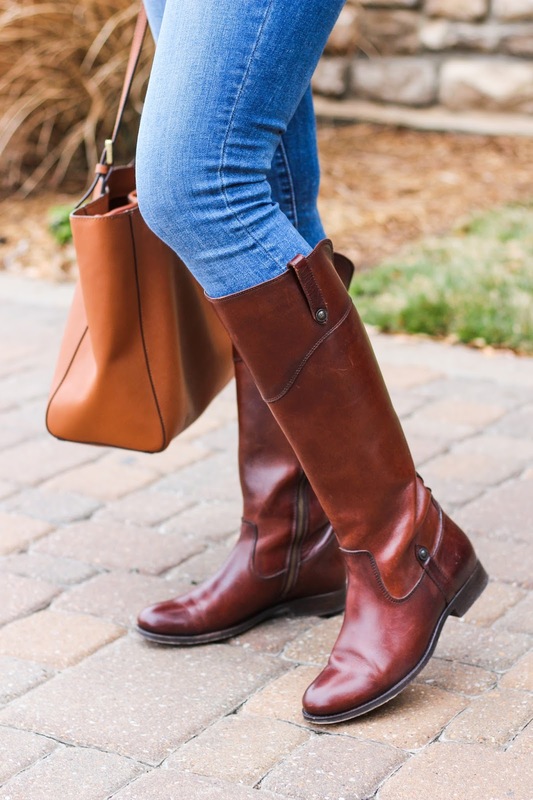 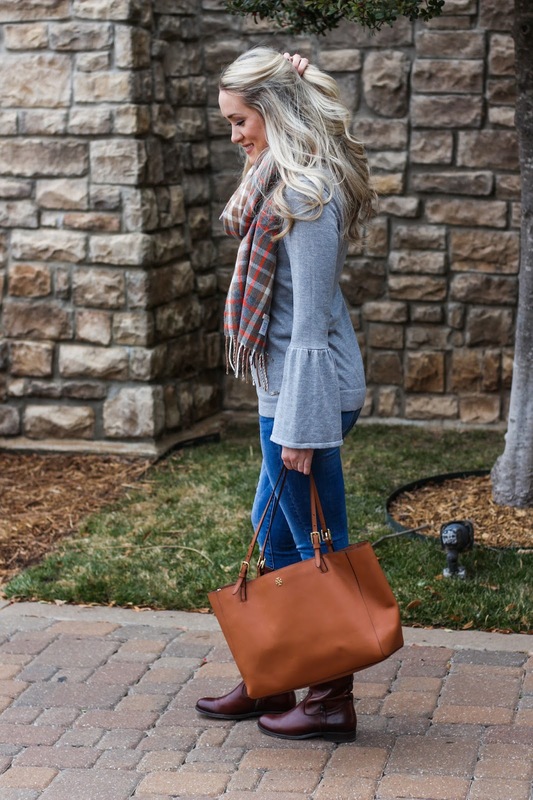 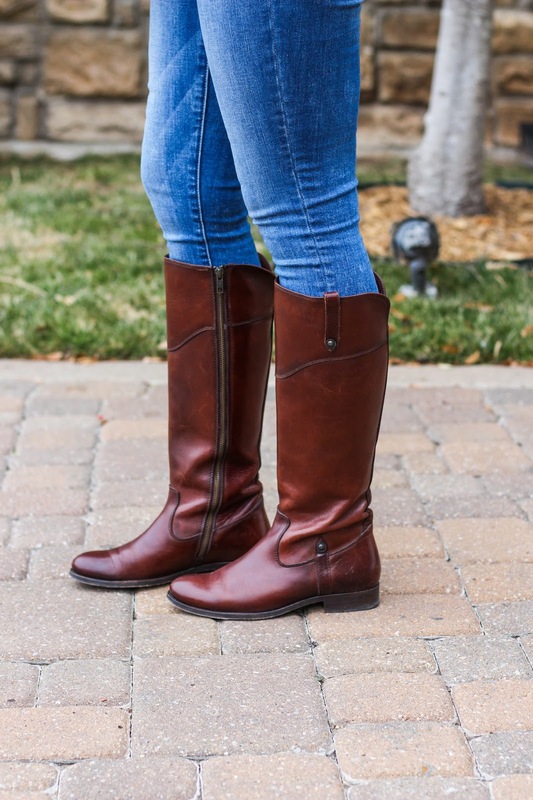 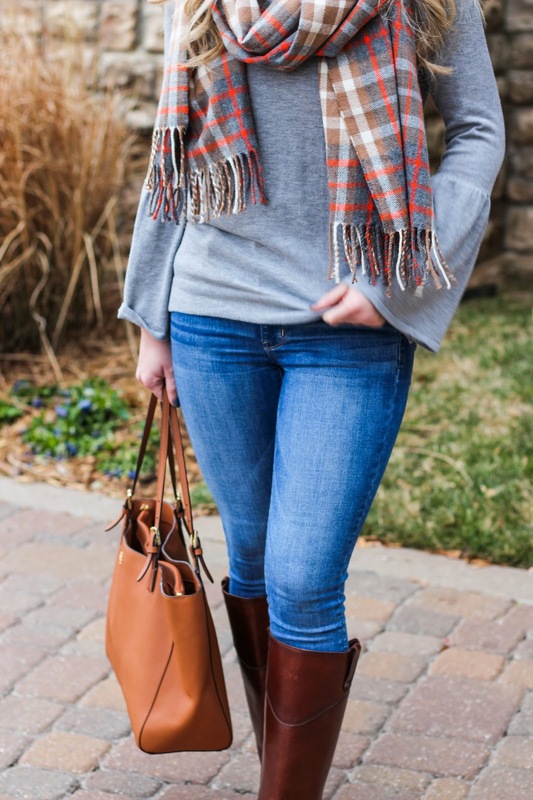 I love how they add some interest and fun to an outfit! 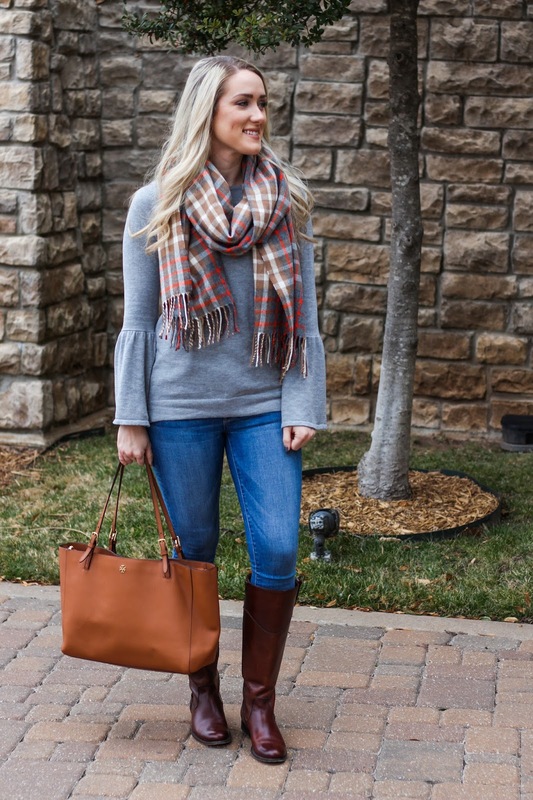 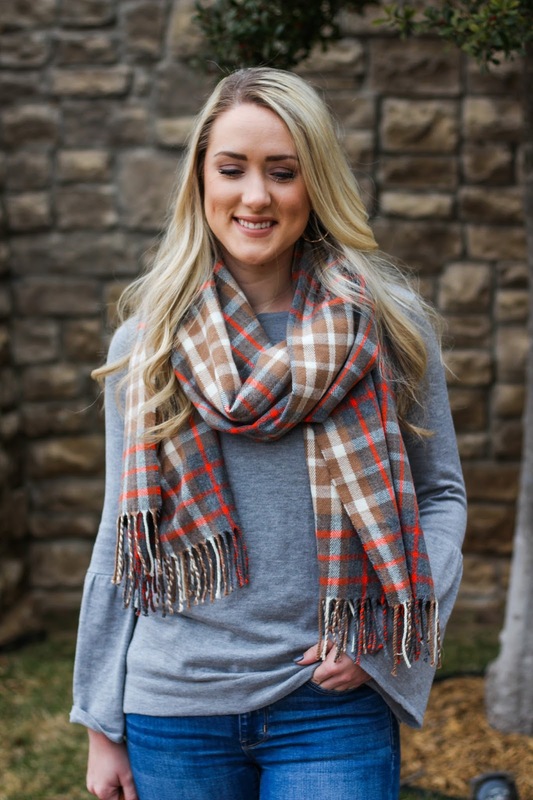 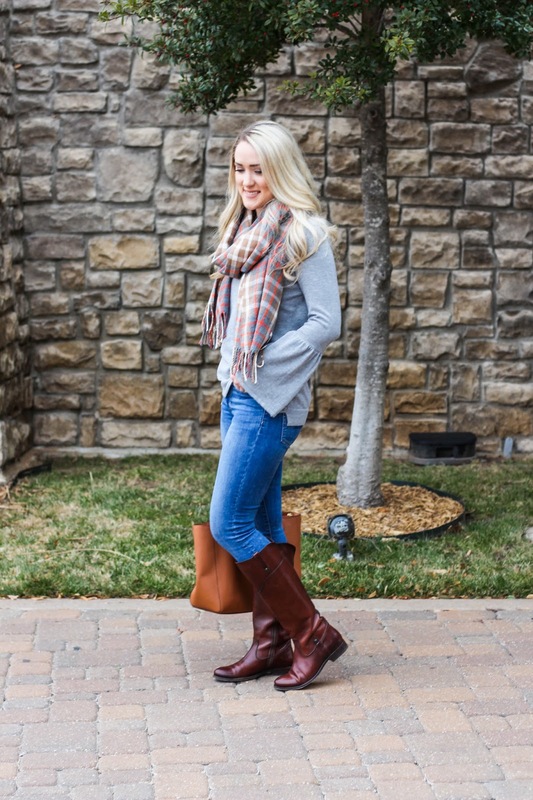 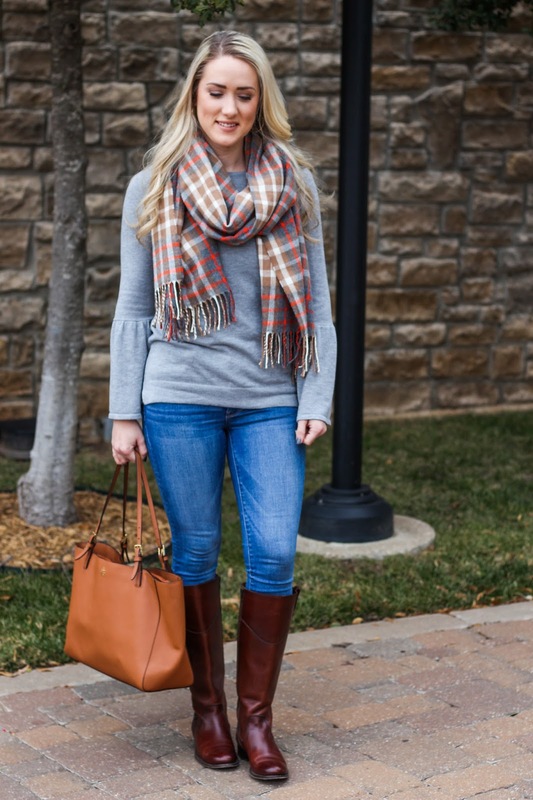 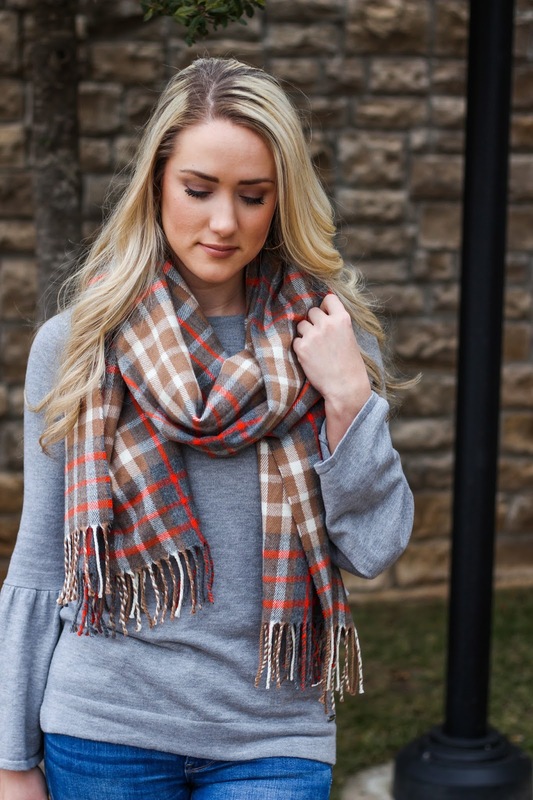 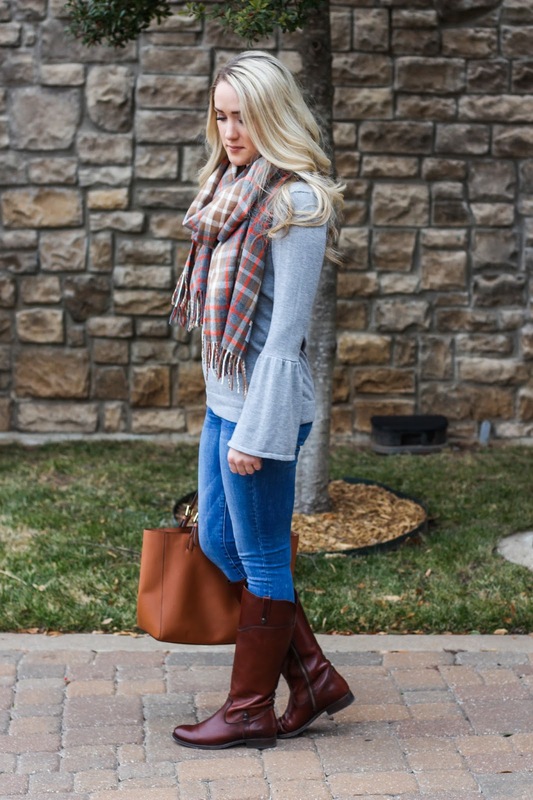 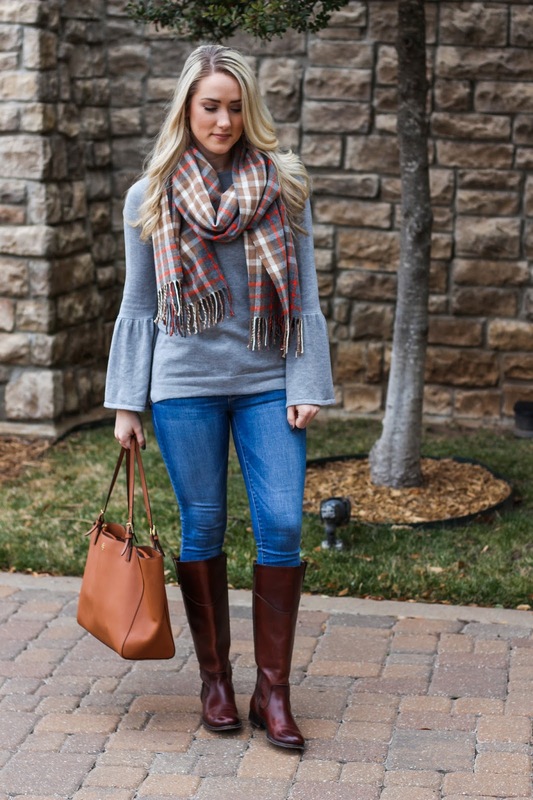 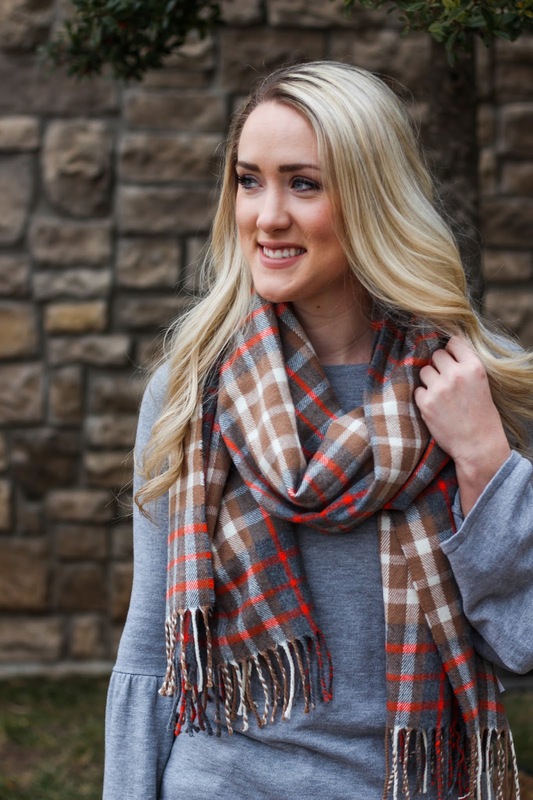 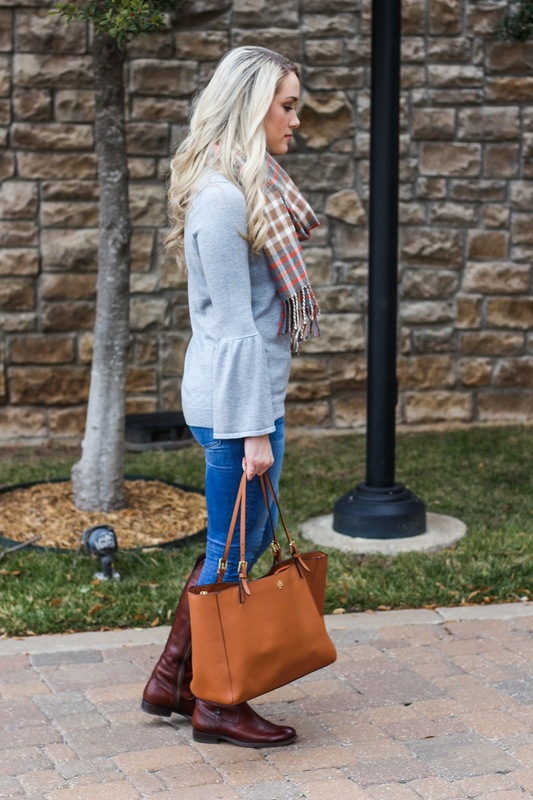 I decided to pair it with this plaid scarf-which comes in a few other colors & is really good quality!